The information in this, and other sections, complements the material in Australian Winemaking. 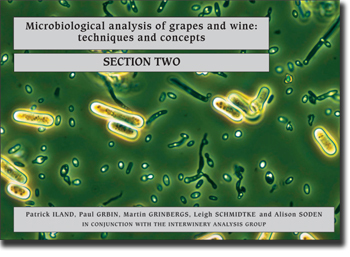 Australian Winemaking provides a broad overview of the basis for winemaking processes and outlines the techniques necessary for making sound wine, while ‘Microbiological analysis of grapes and wine: techniques and concepts’ provides the information for conducting many of the microbiological analyses required throughout the winemaking process. Leigh is a graduate of the University of Tasmania (B. App. Sc in Medical Laboratory Science, majoring in microbiology and biochemistry, and a M. App. Sc (Research)). 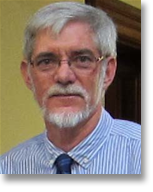 He has taught microbiology at the University of Tasmania and worked as a chemist/microbiologist at Southcorp Wines. Leigh is currently a Lecturer in Wine Microbiology at Charles Sturt University. Alison is a graduate of the University of Adelaide, (B.Sc, and PhD), majoring in the area of microbiology. Alison’s experience in the wine industry includes vintage work and five years in research and applied positions at E & J Gallo Winery in California. Alison is currently employed as the Group Microbiologist at Fosters Group Ltd - Fosters Wine Estates. Paul is a graduate of the University of Adelaide (B.Sc,and PhD) and Roseworthy Agricultural College (Grad. Dip Wine). Paul has 17 years experience in the wine industry in production, consulting, research and teaching. He has worked at The Australian Wine Research Institute and Charles Sturt University (Lecturer in Wine Microbiology). Paul is currently a Lecturer in Oenology at the University of Adelaide.